The AirFit™ features a gentle curved back hugging design - that cradles the vertebrae - and fills the gap between the lower spine and seat back. 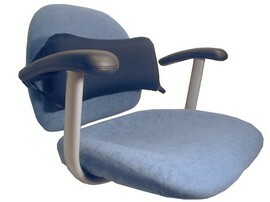 Providing the lower back support you need. Self-Inflating Technology work together for a perfect fit every time.